Welcome to Kansas Tick-Borne Disease Advocates, Inc. (KSTBDA)! Your help will empower people with tick-borne diseases to self advocate and gain access to medical testing and treatment according to the Standard of Care at www.ILADS.org! This is very important to anyone who has been sick! On our interactive website; Talk to radio, television, newspapers to spread the word about our organization and events? Talk to local businesses about donating prizes or sponsoring our events? Take 5K Run/Walk cards to businesses to advertise our event? Take Posters to businesses to advertise our event? Visit people who are sick at home? Call people who are sick at home, as a caring listener? Many people who are very sick have no one to talk too and are completely isolated. They need to talk ALOT!!! Help people who are sick to access community resources? Are you a Pastor or Chaplain that people who are sick can call to talk too? Would you be able to engage campus organizations at area colleges and Universities to help with our events? Dr. Brooks has a website to sign up for his care at www.brooksfamilycare.com Keep checking back but currently he is not taking new patients. Living With Lyme - Medical Myth Or Chronic Condition? Many doctors in Kansas do not believe the disease exists, and insurance companies have refused to cover experimental treatments. 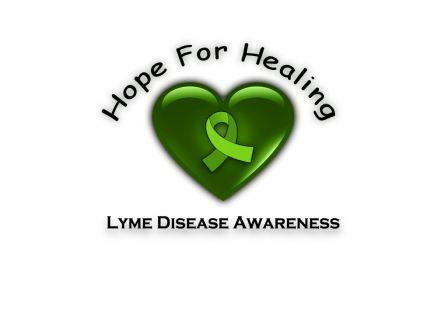 May is Lyme Awareness Month, Create Proclaimations for your city for awareness, help sponsor a Physicians Protection Bill, assist with health fairs, help create a day at the capitol. For more ideas click here.